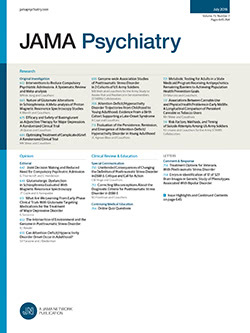 • A low metabolic rate in the caudate nucleus and putamen in schizophrenic patients while they were not receiving medication was found to predict a favorable clinical response to haloperidol. Twenty-five patients (21 men and four women) entered a double-blind crossover trial of haloperidol and placebo; to our knowledge, this is the first such trial with positron emission tomography to be reported. Patients received either placebo or medication for the first 5 weeks, and they received the other treatment for the second 5 weeks. Positron emission tomographic scans were obtained at weeks 5 and 10. Patients with low relative metabolic rates in the caudate nucleus and putamen while they were receiving placebo were more likely to show decreases in their Brief Psychiatric Rating Scale scores with haloperidol treatment than individuals with normal or high metabolic rates. Among responders, haloperidol treatment had a "normalizing" effect on metabolic activity in the striatum, with the metabolic rate while they were receiving haloperidol being higher than that while they were receiving placebo. Nonresponders were more likely to show a worsening of hypofrontality while they were receiving medication and an absence of change in the striatum.